Sand to Stone, Ultimate Chile! This trip is designed for you to capture fantastic images of Chile's most amazing places from North to South. If you want to improve your landscape and wildlife photography (and your post-processing!) while taking amazing photos in an exotic destination, this is the trip for you! You will have three professional photographers with you at all times (our local guide is a photographer too) to provide a combination of local natural history, post-processing (LR and PS), and photographic expertise as well as knowledge of Canon, Nikon, and mirrorless camera systems. Whatever and however you shoot and process, we've got your back! Join Greg and Keith for an amazing trip to Chile. We'll start our trip in the beautiful city of Santiago. We'll then fly north to the Calama airport. Upon arrival, we take our private bus to our hotel in a beautiful colonial town on the edge of the Chilean altiplano. We'll spend a few days in the altiplano photographing vicunas, the beautiful night sky, flamingos and so much more. We'll then head south to Patagonia for the remainder of this photographic workshop. We'll spend time in this amazing part of the world with stunning mountain views, rivers, wildlife and jaw dropping landscapes. We'll also have a fair chance at photographing Andean Condors, Pygmy Owls, and Lesser Rhea (an ostrich-like flightless bird). This is a trip unlike any other to South America to share the beauty of Chile. 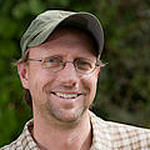 Greg Basco is a resident Costa Rican professional photographer and environmentalist. He is a BBC/Veolia Wildlife Photographer of the Year and Nature's Best Windland Smith Rice prizewinner, and his photos have been published by National Geographic, Outdoor Photographer, and Newsweek. His latest work is an acclaimed coffee table book on Costa Rica's natural wonders, and he is co-author of the popular e-books The Guide to Tropical Nature Photography and Lightroom for the Nature Photographer. Greg has earned a reputation as a knowledgeable workshop leader who puts his clients first. Greg does his own shooting on his own time, not yours! 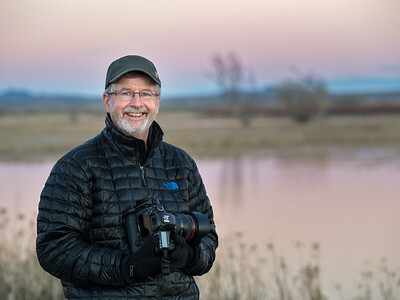 Keith is a New Mexico based NANPA award-winning nature photographer and photographic instructor. Keith is a staff member with Nature Photographers Network in the role of moderator in the Avian image critique gallery. His extensive background in photography started with traditional black & white darkroom work, continued through college in a professional studio specializing in portraits, weddings and commercial photography and has continued with has passion for nature photography and education. With an academic background in computer science, the marriage of computing and digital photography came easily. Keith took advantage of this to become a digital post processing specialist and instructor. Keith is co-author of the popular e-book Lightroom for the Nature PhotographerHis special areas of interest in photography are wildlife and nature photography, creating images of simple, yet compelling stories. Keith retired from a long career in the software industry. His last 28 years working at Sandia National Labs. You can see more of Keith's work at his website.